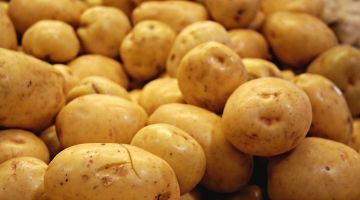 See below for our range of the most popular vegetables. Other products are available on request. 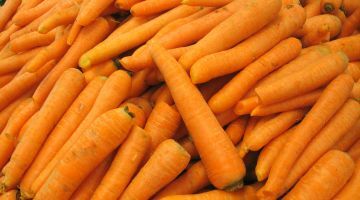 Young carrot straight from the field. As standard, comes in 18kg bags. On request, bulk in big bags or retail packaging are also available. Young potato straight from the field. As standard, comes in 18kg nets. Bulk in big bags or retail packaging are available. Many varieties to choose from. Grading to customer specifications is possible. 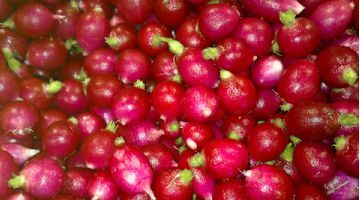 Available all year round, radish is pre-packed in retail 500 gr bags. 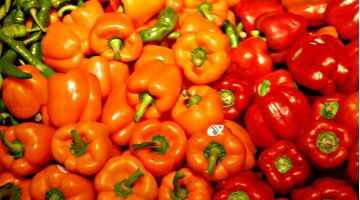 Our capsicum comes from 2 main regions: Bek’a and Arava. Available in red, yellow and orange. Possible to be mixed with chili peppers, cherry tomatoes and other tomatoes. 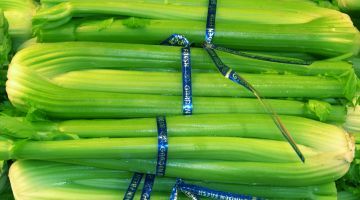 Cleaned and cut celery stalks, pre-packed in retail 500 gr packing.